I love the day right after Halloween, at least for posting reasons. That’s when we get some of our favorite content, some of the craziest costumes, and in this case, some decorations which blow our minds and make us gawk and go “well, how the heck did he do that then, huh, this I reckon yup”. 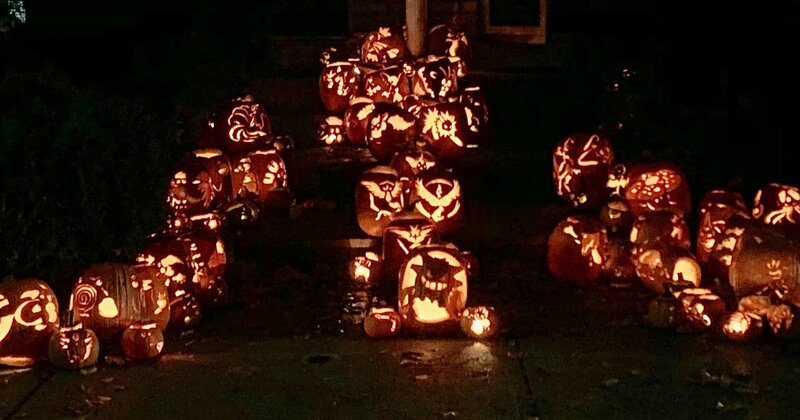 In this case, Toronto based animator Adrian Kieda has managed to do something truly incredible, and carved all original 151 Poke’mon from Poke’mon Red and Blue into… the faces of pumpkins. We’re talking Mewtwo, we’re talking Mew, we’re talking Mr. Mime, we’re talking Jynx. Pikachu? Yeah! Sure! He’s over there! Are we talking Zapdos? Of course we’re talking Zapdos! Nintendo’s own Eevee and its three evolutions Vaporeon, Flareon, and Jolteon? Why… I reckon there they are, they be! Clefairy and Clefable? Look. Clefairy and Clefable are both in there, as are their cousin Poke’mon, Wigglytuff and Jigglypuff. In my dreams I could some day write an entry that lists all 151 Poke’mon. It lists Bulbasaur, Ivysaur, Venusaur, Squirtle, Wartortle, Blastoise, Charmander, Charmeleon, Charizard, Pidgey, Pidgeotto, Pidgeot, but such things are UNHEARD OF. Anyway. The man carved some pumpkins. 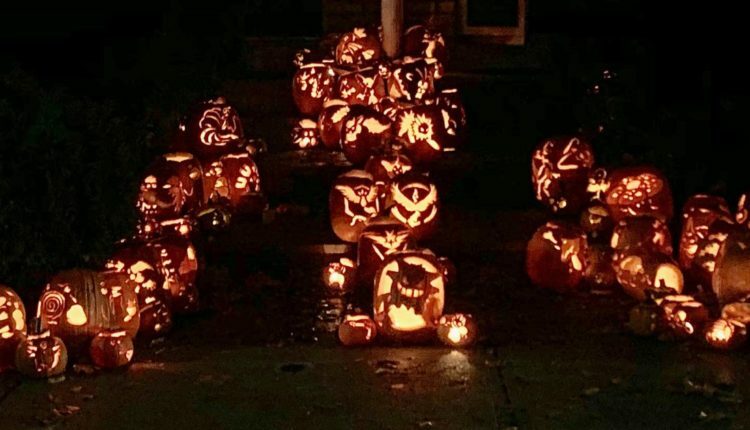 He first put them on Reddit where they shot to the top, and not to worry, he did take individual photos of the pumpkins which he says he plans to edit into a Poke’rap later. Nice. Nice. Maybe we’ll have Weedil, Kakuna, Beedrill, Caterpie, Metapod, Butterfree in there. Maybe even Ratta and Raticate. Maybe, just maybe… Dratini, Growlithe, Arcanine, Dragonair, Dragonite, Kangaskhan, Taurus. I don’t know. I could keep naming Poke’mon. Heck, I would RATHER be naming Poke’mon. But I think it’s enough nonsense. Listing more Pokemon, even if they are Jynx, Abra, Geodude, Hypno AND Haunter would be beyond the pale. What did you think of the pumpkins? Let us know in the comments or on Twitter at @WhatsTrending.